Tom – That was what I found the most interesting about the entire study. It makes me think the central governor can be trained and maybe we can improve our VO2max more than originally believed. That was a 4% increase in VO2max virtually overnight. Why should we be surprised at a training effect resulting in improved performance? The second and third points are key. There were two groups in the study, each of which did three VO2max tests. The control group did three consecutive incremental tests and saw no change in their VO2max values; the other group did one incremental test, one decremental test, and one final incremental test, and saw a 4.4% increase. 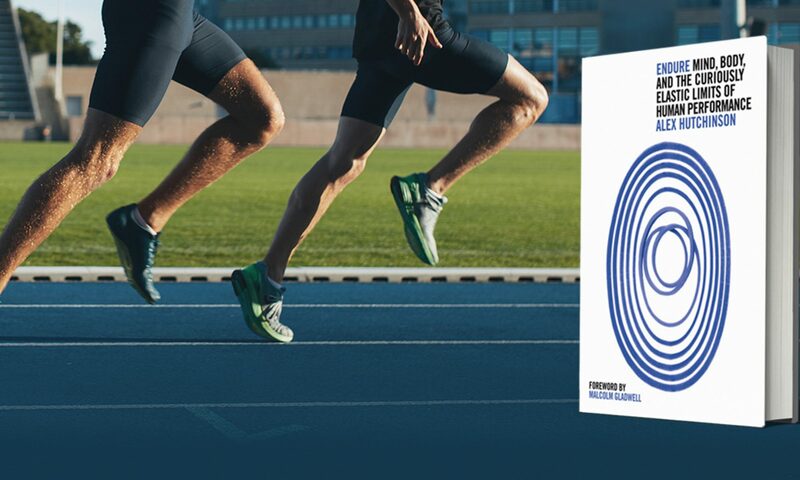 Now, it’s theoretically possible that the decremental test is an incredibly hard, super-magic workout that instantly increases VO2max by 4.4%. But when these subjects did their third and final incremental test, even though VO2max was higher, their time to exhaustion wasn’t. If the change in VO2max was really a training effect, you’d expect their time to exhaustion to increase. 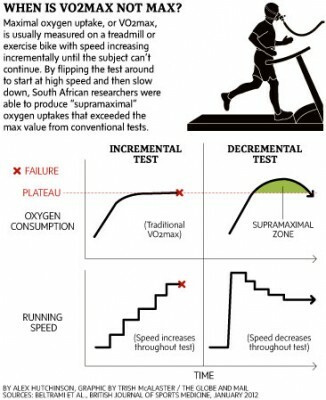 People often confuse “VO2max” with “performance,” but they’re two different things. @Chris, the study abstract is here. If you’d like the full text, let me know. In my training centre (cycling) the interval efforts where power (controlled by ergo) is taken up high and stepped down are rated as some of the harder sessions, despite overall intensity being set the same as a ramp up scenario. Also, using a power meter to estimate Maximal Accumulated O2 Deficit during track cycling events (e.g. individual and team pursuits) has shown me that a higher MAOD is attainable when the effort starts out much harder than sustainable and the rider fatigues while attempting to sustain a maximal effort. No idea if this observation is related, but seems to be a similar phenomenon.